Welcome to Brazos Valley Seamless Gutters! Brazos Valley Seamless Gutters specializes in five and six inch residential seamless gutters and offer products with leafguard, rain water harvesting products and can work with your landscaper to best manage water drainage systems and proper drainage around your home. Serving clients in Bryan and College station as well as the entire Brazos Valley area with Senox Corporation products, owner, Jeremy Riley, is directly involved with every gutter system design from start to finish. Senox products are unique in which they offer a 50 year paint warranty and also BVSG gives a warranty on workmanship and installation. 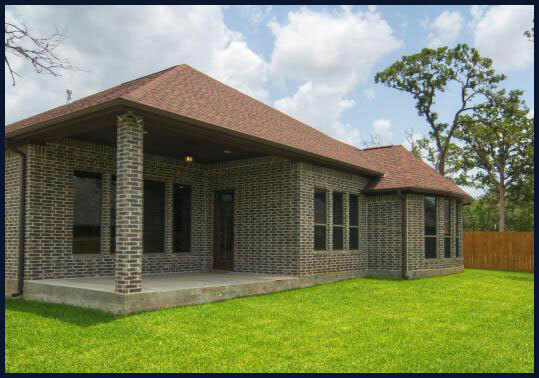 At Brazos Valley Seamless Gutters , we are committed to provide small town customer service with the best products available. From residential to commercial installation of seamless aluminum gutters, clean-outs and repairs, we aim to please our customers. Contact us today for a consultation at 979-676-2800. Regardless of the season and climate, we can help you maintain your gutter system and keep it in ideal condition.